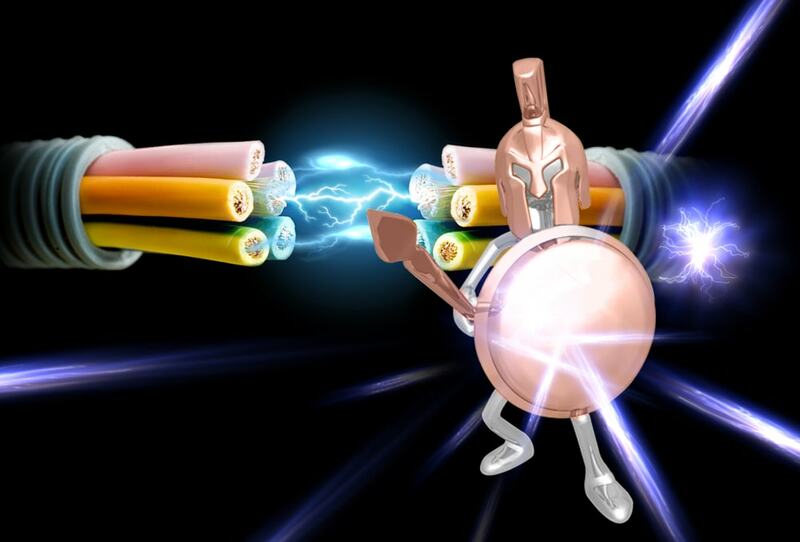 In a heads-up battle between fiber optic and copper cable, who do you think will win? In this article, let’s weigh which of the two better suits your needs. When assessing which type of network cable you want to install, which type should you go with? I know, copper has some advantages – including the fact that it’s already there in many places and is less expensive to connect to network devices. Though fiber optic cables are more expensive, there are several advantages that make it a more enticing cable infrastructure solution than copper. It all boils down to the speed of photons versus the speed of electrons. While fiber optic cables travels only 31% slower than the speed of light. Can copper beat that? Over long distances, fiber optic cables experience less signal loss compared with copper cables. This is called low attenuation. Copper cables can only transmit information up to 9,328 ft due to power loss as compared to fiber cables, which can travel between 984.2 ft to 24.8 miles. Copper wires that are not professionally installed will produce electromagnetic currents that can interfere with other wires and wreak havoc on a network. Fiber optic cables do not conduct electricity. Fiber optic cables are not fire hazards. This is due to the same reason that the cables do not produce EMI – there is no electric current traveling through the core. With fiber cable, you will not have to worry about replacing them as frequently as copper wires. Even though the fiber is made of glass, copper wires are more easily damaged. If you invest in fiber optics, you can increase your bandwidth potential. The use of copper wire is very limited in nature. Because copper cables were originally designed for transmitting voice calls only, the demand for bandwidth wasn’t high. Try using copper for Ethernet and you’ll get what I mean. There are a number of factors that can cause outages when you use copper cable-based internet. Harsh weather and even moisture can all cause a loss of connectivity. Among the reliability concerns associated with copper include risks of interference from electronic or radio signals. Additionally, copper wires are accessed in the building by telephone company personnel, and sometimes they can make mistakes. I have enumerated various legitimate reasons why companies and IT professionals choose fiber cables over copper cables. Also, using fiber cables can lead to a greater return of investment. Keep these advantages in mind when deciding whether to choose copper or fiber cabling.